Emmert International has been designing, engineering and manufacturing heavy-haul and rigging equipment since 1968. Emmert hired us to give their site a completely new look to better serve their customers. My goal was to create a user experience that would give their audience consistent and clear paths to Emmert's services, employment opportunities and their current and past projects. Art directed and designed along side copywriter Thomas E McCracken and developer Heath Schweitzer. 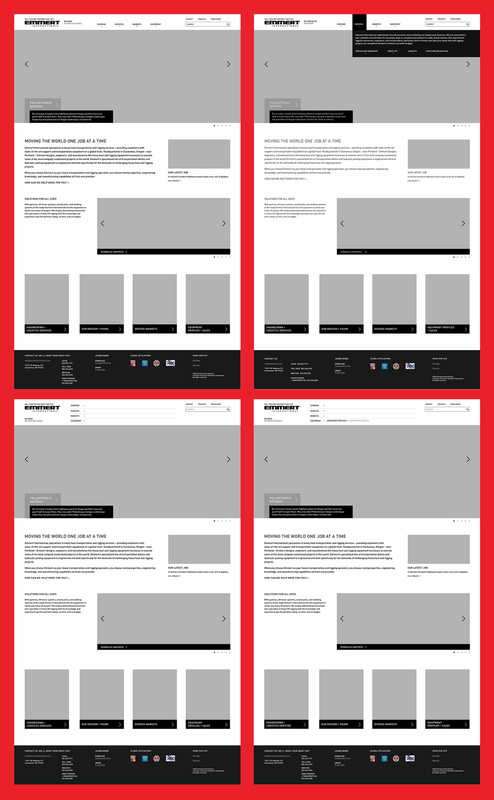 Below are a few wireframes from the initial designs.